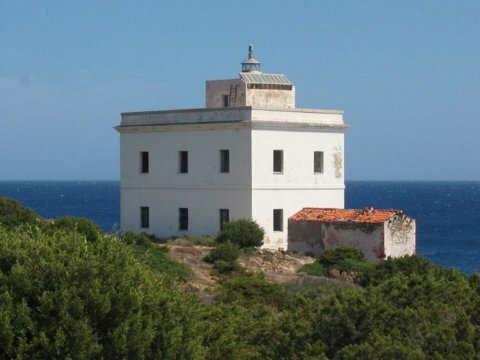 This island is situated north-west of La Maddalena and is separated from Razzoli by the Passo degli Asinelli and from the island of La Presa by the Passo dello Strangolato. Unlike the other Maddalena Islands, only a very small part of Santa Maria is of granite formation. It has a surface of 2.5 km2 and a 10-kilometre coastline and can be reached from La Maddalena by rented boats. Wide areas of the island are flat with plants of grapevine. Birds are the real inhabitants of this island; they live in lentisk, myrtle, cyst and rosemary shrubs. The aquatic avifauna living in the pond of Santa Maria is particularly interesting. Accommodation is limited. If you are lucky and book well in advance, you can rent one of the very few small houses built on the island and spend your holidays there.